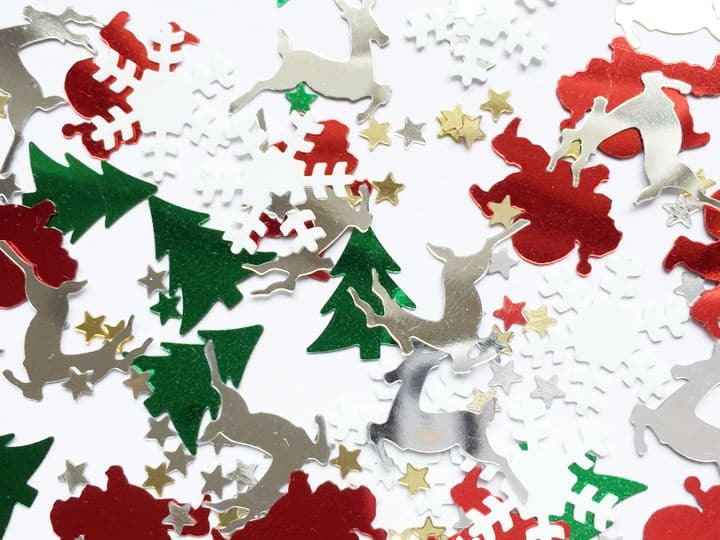 A really posh Christmassy mix of silver reindeer, gold stars, silver stars, white snowflakes, red Santas and green, red & silver Christmas trees. 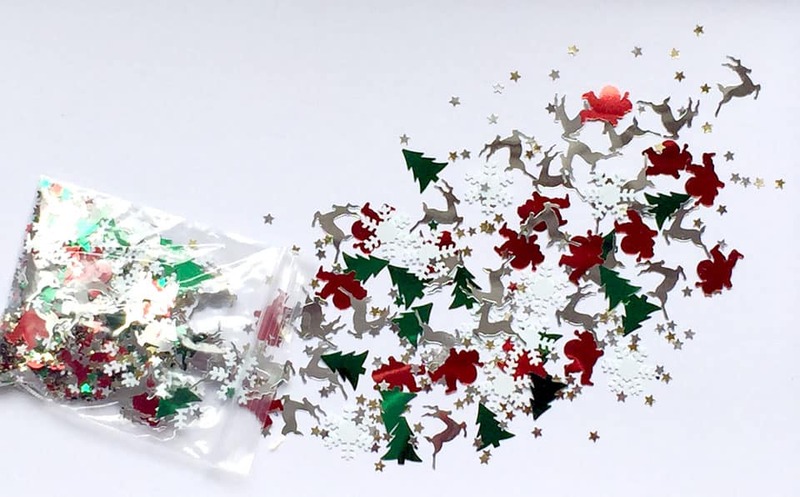 The best thing is, it’s all in a zip lock bag so you don’t have to use it all at once OR risk it going absolutely everywhere! The elves often pop a pinch of this in with their letters, or sprinkle it on the banquet table for their big Christmas Day party! 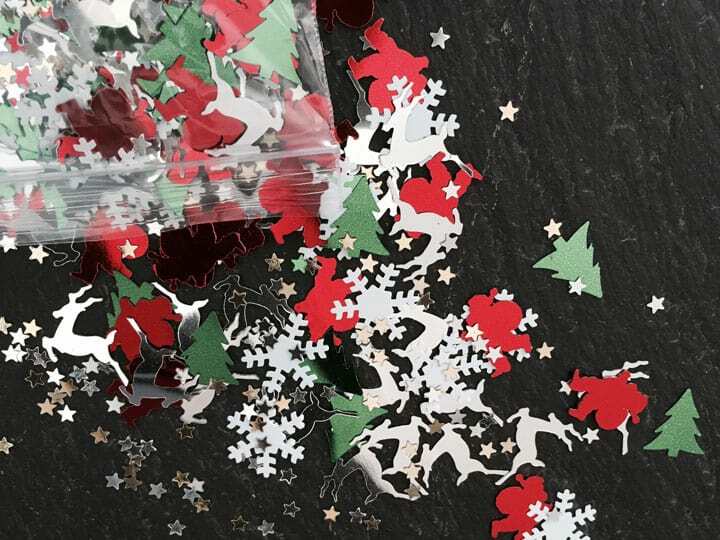 Standard 14 gram bag of mixed Christmas confetti in elf sized packaging to minimise waste.